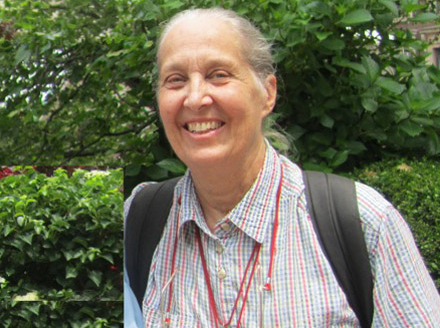 Allison Jablonko began her graduate studies in anthropology under Margaret Mead at Columbia University in 1960. The 63,000 ft. of footage of Maring life shot by her and her husband, Marek Jablonko, between 1963 and 1964, were archived in the collection of D. Carleton Gajdusek at the National Institutes of Health in Bethesda, Maryland. She earned her doctorate in 1968 with a dissertation on Dance and Daily Activities among the Maring People of New Guinea: A Cinematographic Analysis of Body Movement Style with its companion film Maring in Motion . Additional footage shot in 1968 has been included in the archival collection at the Human Studies Film Archives of the Smithsonian Institution. 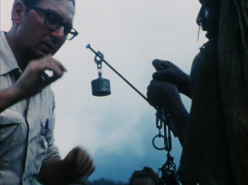 In 1969, in collaboration with the anthropologist Maurice Godelier, she and her husband initiated a filming project among the Baruya of New Guinea. She has strongly supported the cause of preservation of research footage. 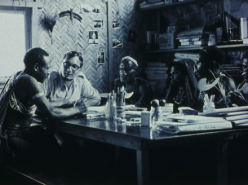 Some prints from footage shot during her field trips were later edited, resulting in an eight-part series for the Italian National Educational Television, called The Maring: Documents of a New Guinea People (1981), and in the Jablonkos’ 16mm productions, Her Name Came on Arrows and To Find the Baruya Story (1982). In 1984 she turned to video to record the three day Fasnacht ceremonies in Basel, Switzerland, from which she edited Singsing in Basel , a film which she gifted to the Haus Bilong Wokim Piksa in Papua New Guniea. She was instrumental in establishing the Society for Visual Anthropology (SVA) (1984) of the American Anthropological Association and the SVA Conference on Visual Research. In the 1980s and 1990s she participated regularly as juror in the SVA Annual Film and Video Festival. 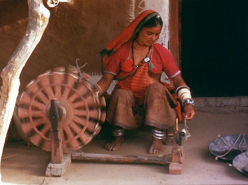 In the 1990’s, she taught courses in visual anthropology at Mills College, Oakland, California, and at the Institute of Ethnology at the University of Perugia, Italy. From 1998-2004 she led an annual workshop in visual research as part of the Summer School of the Visual in Nova Gorica, Slovenia.